WingChun.Life the Book: how to get a kung fu grip on life. This is a book about healthy boundaries, self confidence, mindset, motivation, success, fitness, self defense, imagination, physics, strategy, integrity, mobility, strength training, business development, and more. Throw all that in a bowl, stir it together, boil it down, and you get kung fu. If you already practice kung fu, you know it’s a powerful crucible that forges all other virtues. If you don’t already practice kung fu, I want to help you understand that it’s so much more than what you think it is. Frustrated with life? Feel like you’re getting pulled in 7 different directions all the time? Don’t have enough time for your hobbies, friends, job, relationships, or yourself? 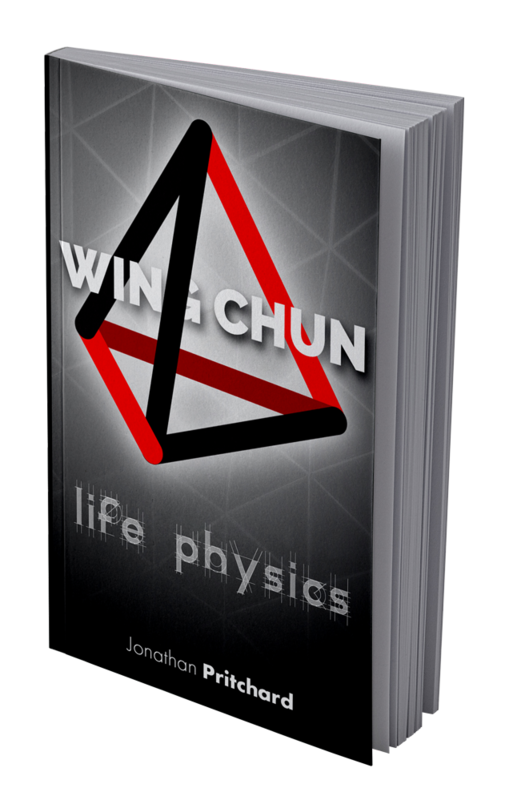 “Wing Chun: Life Physics” is a book that will show you how to pull your life together by examining the nature of reality, and then building up from there. This isn’t another stupid self help book. This is an exploration of the physical & meta-physical world starting from the abstract world of mathematics & geometry as it establishes a mathematical proof for personal integrity. This is a martial arts book that has little to do with punching & kicking, but everything to do with learning how to not be your own worst enemy. Never beat yourself up; that’s your opponent’s job! We’re shooting for mid January 2019. My birthday is at the end of January, so I’d like to celebrate by making sure everyone who wants a copy has a copy!